Bottom line: Do not break the Pixel 3 XL's display because it will be a very expensive and difficult repair. Once past the difficulty of opening the phone, battery replacements and camera module replacements are not too painful. 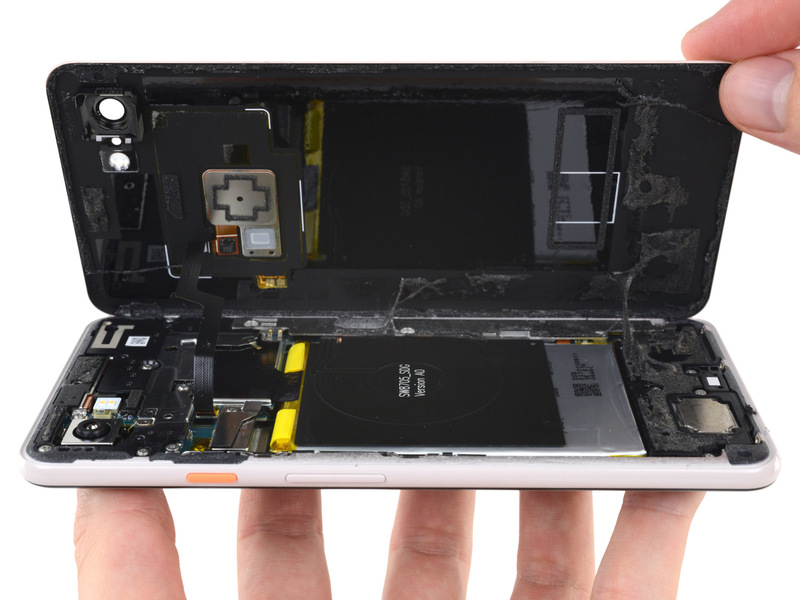 Just like any other electronic gadget, the Pixel 3 XL has gotten a full teardown by iFixit. Getting inside this glass sandwich is not quite as easy as previous generations given the change in materials, but certainly not impossible given a little determination and the right tools. When attempting to separate the display assembly from the main body of the phone, the back glass is actually the first piece to come off. Although a heat gun is not absolutely required for initial opening, it is said to make it easier. Removing the rear cover reveals the wireless charging pad sitting atop the 3,340mAh battery. The cable connecting the fingerprint sensor to the rear offers enough length to prevent accidental tearing upon opening. Once inside, there is an array of metal covers hiding the motherboard. The SIM tray is also relatively well hidden underneath the speaker assembly. Removal of the covers requires a now fairly common T3 Torx bit. Going in to replace a battery appears straight forward at first, but a stretch-release adhesive strip is holding the wireless charging pad in place to the battery. You only get one chance to do it right or face the painstaking task of carefully peeling off the tough adhesive. The battery itself is also held in by a similar stretch-release strip and has a ribbon cable underneath it making it a little more difficult to extract without damaging anything in the process. After getting past all of the shielding in place, the motherboard can be taken out. Copious amounts of thermal paste couple the main logic board to the metal framing. Going through the various components found on the motherboard, there are few surprises. Micron supplies the 4GB of LPDDR4X memory that is layered directly over top of the Snapdragon 845 processor. SK Hynix is this year's supplier for internal flash storage. Aside from Google's own Pixel Visual Core chip and Titan M security chip, numerous miscellaneous Qualcomm chips cover the board. The all important camera module appears to be an upgraded version of Sony's IMX363 sensor. Xiaomi, Asus, LG, and ZTE all use variants of the IMX363 across their phones, showing that the Pixel Visual Core is responsible for much of the magic that happens for photography. Once all the boards are taken out and the wires are carefully pushed aside, there is not much left except the display assembly and frame. Yes, that means the vast majority of the Pixel 3 XL must be gutted to replace the display. This year, it turns out that Samsung is the supplier of the Pixel's AMOLED display. It will be easier to simply replace the entire phone casing and install the internal components into a new body with new display in place. At the end of the day, iFixit gives the Pixel 3 XL a score of four out of ten for repairability. Google gains points for using reasonably standard screws and providing a somewhat easy way to remove adhesive strips, but loses major points for requiring the majority of the device to be taken apart. Gluing the rear of the phone back to the main body when repairs are complete is also said to be a slow process.